There are two versions of the backpack available – enchanted and un-enchanted. Both can be constructed at any forge, the un-enchanted version for 3 leather and 3 leather strips, and the enchanted version costs an additional 5 filled grand soul gems. Yup, that’s expensive, but you get what you pay for, and you got to spend your money on something. Equips to slot 57 [/b]so if you have anything else that equips to that slot they can’t be used at the same time. Should work with all body types – male and female. Help Ugly and you will see the two FormIDs. Use console command player.additem formid# followed by the quantity you want. It will look something like player.additem 10000D63 1 with the #1 on the end being the quantity. 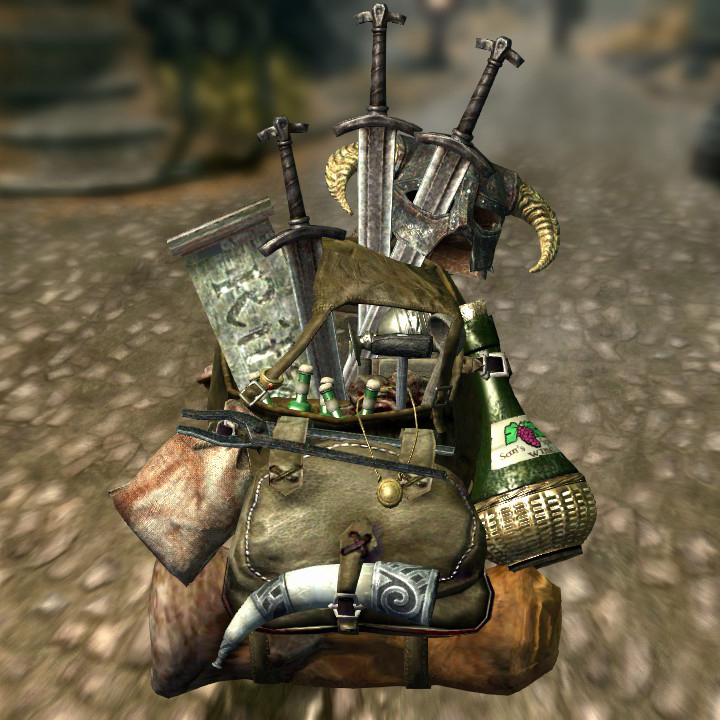 Known issues: after equipping or un-equipping the enchanted version of the backpack in the inventory window you wont see a change in your carry weight until you close the inventory window and re-open it. I’m just hoping I didn’t screw anything up. I haven’t uploaded anything in a few years and I’ve forgotten how to do a lot of it, so fingers crossed.